I’ve Got Bees… What Do I Do? 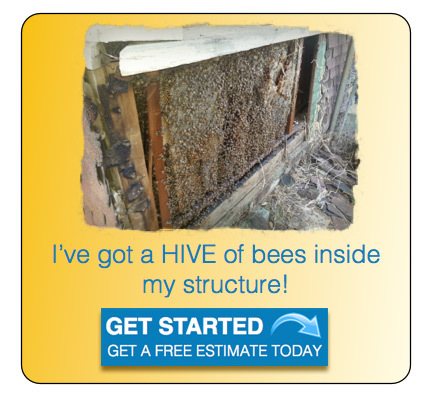 Discovering a honey bee infestation in the wall, your attic, or a tree outside your home or business can be an intimidating and scary situation, and can quickly turn into a nightmare if not handled correctly. The best solution is Professional Pest Management! With over 20 years of experience in removing and caring for bees we can tackle any hive big or small. We have bee removal down to a science. We continue to seek after the best methods for safe and environmentally friendly removal of bees. When it comes to bees we prefer the old fashioned hands on approach. No matter where you find the bees we can take care of them for you. 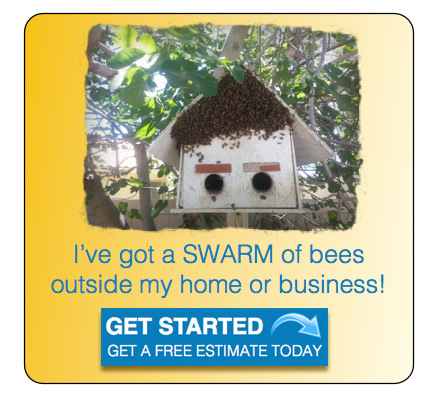 Whether its a swarm of bees in a tree, a hive in a tree trunk, or bees in the attic of your home we’ve got you covered. We offer FREE INSPECTIONS and FREE ESTIMATES for be removal. If you have bees or just have questions, we have the resources available to answer and help with anything you may need. We work with a network of people across Southern California assisting many bee keepers and pest control companies to employ only the best methods to save as many bees as possible. Honeybees, Wasps, Yellow Jackets, Hornets, Carpenter Bees, Bumble Bees.